Walkthrough: Just off of Route 8 is the entrance to Lush Jungle, the same place where you final Island Trial on Akala Island will take place. This Trial is set by Captain Mallow, the girl you met when you first arrived on Akala Island. As in Pokemon Sun & Moon, you will have to collect the ingredients to make Mallow's special dish as apart of her Trial. This time around, however, the ingredients are more obvious to find. But there's a catch! There will be multiple options for each ingredients, and if you you pick the wrong one, you will be attacked by a Pokemon while Mallow is making her dish. In total, you could face a Level 17 Formantis, Level 20 Comfey and a Level 24 Sudowoodo if you make the wrong selection. After Mallow's Dish is prepared and you battle any and all the Pokemon that attack, the Totem Pokemon will appear. 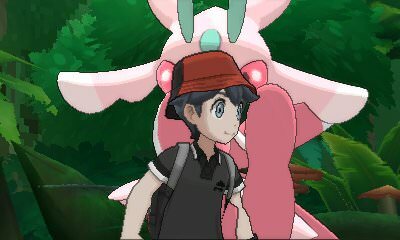 The Totem Pokemon for Mallow's Trial is Lurantis. Not only will it be at Level 24, but it will also have its Speed boosted as the battle begins. To make things all the more difficult, it will call upon Kecleon and Comfey (both at Level 22) for help, both of which will use the move Sunny Day to give Lurantis increased Synthesis strength and no-charge Solar Blade attacks. It will be tough, but after defeating the Totem Pokemon and all the Pokemon it calls upon, you complete Captain Mallow's Trial and will receive Grassium Z.